The debut digital single from the Nottingham sextet's fourth album, Heart of Wire. An addictive blend of Scottish pop and Stereolab electronics, the "As She Goes By" single is an exclusive mix of the track that includes additional strings by the band. 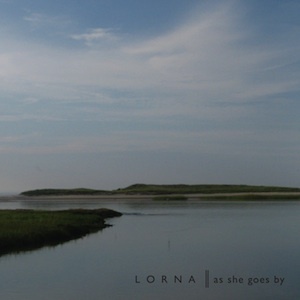 "As She Goes By" is backed with "Kuskova" - an upbeat flirtation with the band's dream pop/shoegaze roots with blurred, languid vocals by Rolfe and Cohen-Rolfe channeling Slowdive's Neil Halstead and Rachel Goswell.